Hi Party Girls! We hope you enjoyed a good weekend filled with sun and fun. Sorry in advance for the lateness of the post, between working on our special surprise plus starting a new job it has been a super busy couple of days. 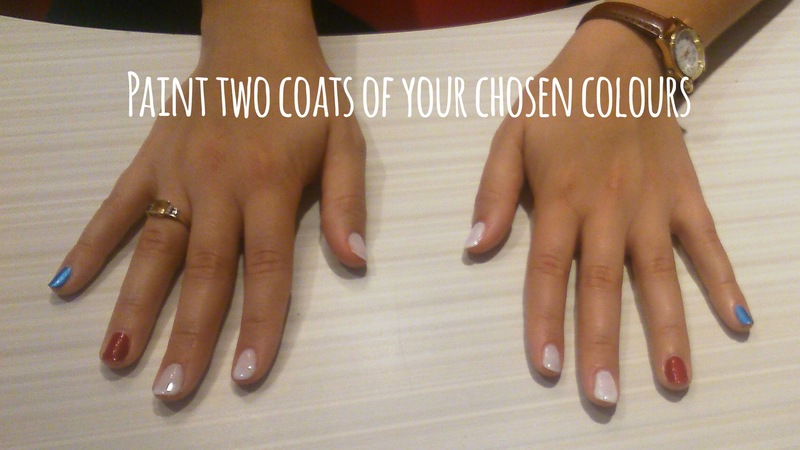 But never worry, mani monday is here. I have been so inspired by the hot summer days we’ve been having lately, it reminds me of long days at the beach spent by the water. 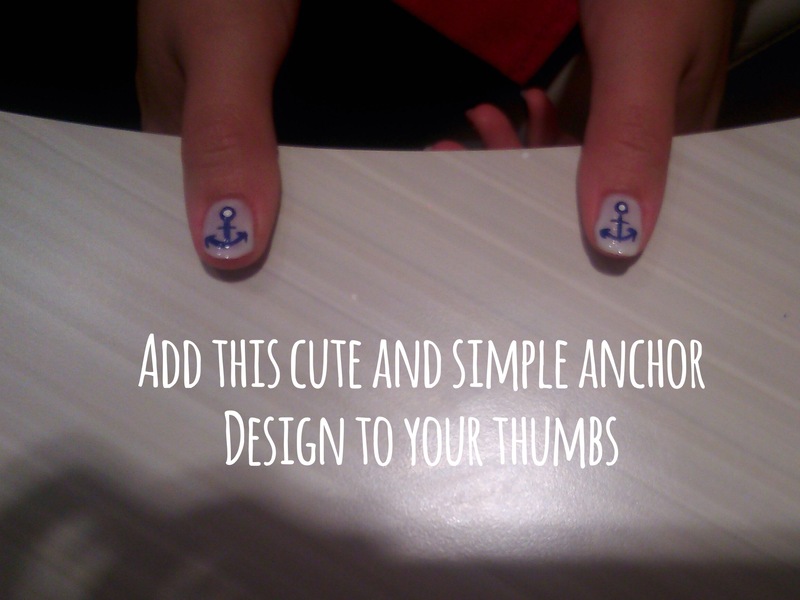 That’s why this week we’re doing a nautical nail design! Thanks to my friend Anna who did the nail design and took the photographs. As you will see she is amazing at nails! Now normally I would stick to the traditional white, navy blue and red, but this time we wanted to try something a bit different so we added a cool metallic blue and a pink for some change. 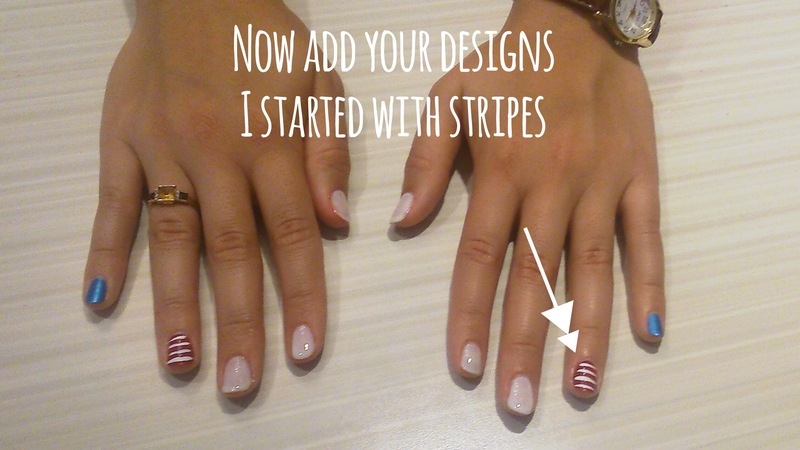 So try this summery nail design next time you head up to the cottage! And that’s it! 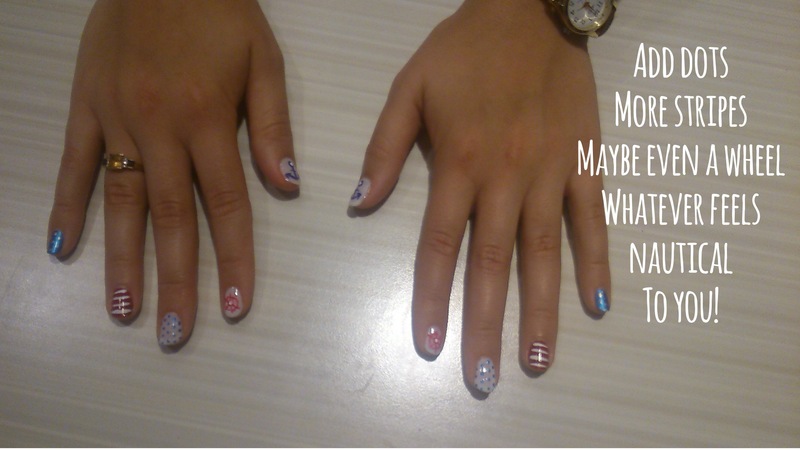 Let us know what you think about this week’s mani monday, and any ideas you’d like to see next week!